I’m Michael Beale, accredited by Richard Bandler as an NLP trainer, coach trainer, practitioner and master practitioner and by John Grinder as an NLP coach. I help professional people and entrepreneurs move towards success and fulfillment. Previously I had 30 years’ corporate experience in retail buying, marketing, sales, sales management and business strategy. I offer one-to-one NLP training and executive coaching for individuals across the world. This is either face-to-face or on Skype, usually for periods of six months. I run company training and offer two free individual Skype sessions. These range from helping a violinist from Vienna to a stock trader in New York, and a young entrepreneur starting a business in London. A sales professional can increase their revenue and profitably, whilst increasing their customer satisfaction scores. A leader can create a richer vision, communicate it more powerfully and create the space for people to improve their results. An entrepreneur can focus on what needs to be achieved to build their business, attract customers and encourage them to refer others. 2. Getting better results through others. 3. Connecting whatever leads you to success and fulfillment. 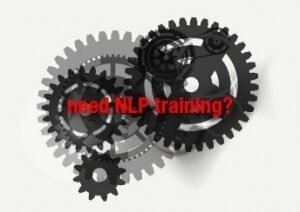 Individuals who are curious about NLP. Practitioner and Master Practitioners who want be reminded of some of the key NLP techniques. How can you benefit from this series? Simply watch and listen; the videos are designed so you will automatically learn some of the key points. Complete the exercises; this will bring your learning to a higher level. In due course you will pick a vocabulary and insights that will enable you to notice how the people around you achieve their results.